After some initial delays, it is finally there: the 12 Provincien race Geocoin. A beautiful Geocoin, designed by the dutch Geocoin designer Stoffelen Sr. There are a number of coins left which are now for sale in our shop. And you will get now a free event gooide with the coin (max 1 per order and as long as it is available). On sunday, we joined the famous Poffertjesevent. Because of the initial rain, this time, it was indoor, stil good enough for a lot of fun. It started a little slow, but after 12, it was really busy......of course enjoying the famous and delicious Poffertjes. Event team, thanks for the invitation and we will be there next year again! In a few weeks, we have again a weekend with two events: on juli 2nd, the Grenzeloos event after which we will go on to Den Helder for the Marine Dagen event. In 2011 the 4th version of the 12 Provinces Geocoinrace takes place, in which a coin should visit as quicly as possible one cache in each of the 12 provinces in the Netherlands. To honour this race Team Van Stoffelen (in cooperation with De Wijngemachtigde and Geocachingshop.nl) designed a new geocoin: The 12 Provinciën Geocoinrace Geocoin. The geocoin does not have a particular year mentioned on its sides and can be used in any upcoming version of the race. It is dedicated to the race in general (but may also be collected or used for other purposes of course). The RE has a raised shiny silver look with red glitter in the letters and in the circle with the cup and finish flags. The LE has a raised shiny gold basis with blue glitter accent and the XLE is made of raised shiny silver with a dark gold glitter effect, and with a Dutch flag in the finish flag that is slighty lowered. Design by van Stoffelen sr.
Now with every MZLE order, a unique MZLE 2011 pedant for free (maxl 1 per order and as long as it is available). After Earth, Fire and Water, there is now AIR. Antique silver and gold, polished silver en gold and black nickel. This is the continuation of the popular "All in One" series. Released in 2006, 2007, 2008, 2009, 2010 and now 2011. 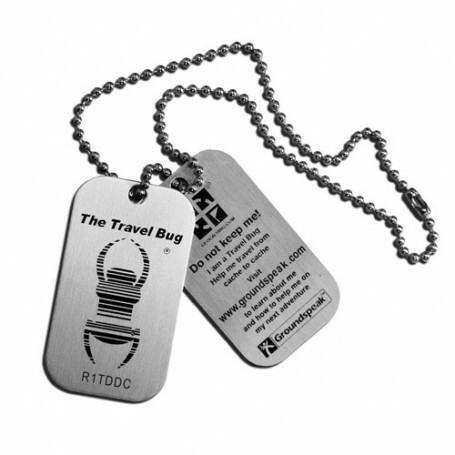 Geocaching has developped rapidly during the last years. Today there are far more than one Million caches. The number of geocachers is increasing continuously worldwide and country after country is added. The hobby Geocaching is connecting people without regard to national boundaries. This becomes clear during events and when reading logs. Time for the series "Geocacher's World", which will present country after country where geocaching is executed by an own geocoin. Of corse every release will have its own icon. The prefix is GW for Geocacher's World. The design follows a strict rule. Each country release with the shape of a stamp will have 2 regular and 4 limited versions. Have fun during collecting and geocaching! A new concept to make your care trackable: QR Code. if you have a smartphone, you can directly read and log it! You can find these in the category Night caches.